Spider silk is a protein fiber that is spun from spiders. The silk is used to create webs or other structures such as nets to catch prey, or cocoons to protect the offspring, or to wrap up its prey. The silk is also used for suspension or to float through the air and various others. Extracting the silk from spiders have proven to be a difficult task due to which a synthetic form of spider silk has been created that could be commercialized. It is one of the strongest biomaterials manufactured, and more flexible and stronger than KEVLAR. Owing to its good mechanical properties, spider silk is used as a new biomaterial for ligament and tendon replacement or repairing and drug delivery. Furthermore, synthetic spider silk is used in athletic gears, airbags, and tire cords among others. An alternative to spider silk has been created that replicated the spider silk’s strength, energy-absorbing capacity, and elasticity. Moreover, synthetic spider silk contains more than 98% water. Laboratory-based spider silk is made from hydrogel, which consists of 98% water and 2% of cellulose and silica. Silica and cellulose are held together by cucurbiturils. Although, synthetic spider silks are not as strong compared to their natural counterparts, however, they are fairly stronger than other synthetic fibers such as nylon. Furthermore, these spider silks can be made at room temperature without the use of chemical solvents, and these are biodegradable and affordable. Asia Pacific is expected to be dominant in the global synthetic spider silk market accounting for a share of over 42% in 2016 and is expected to retain market dominance throughout the forecast period from 2018-2025. Synthetic spider silk find wide application in the automotive industry such as in the manufacture of airbags. Asia Pacific is a lucrative region for airbags with China as the largest producer for the same. Further, technological development, low prices and rising consumer acceptance are some of the key factors pushing the utilization of airbags in Japan. China and Japan are the major growth engines in the Asia Pacific automotive market. According to Coherent Market Insights, China accounted for around 30% of the passenger vehicle production in 2016. Furthermore, the country also accounted for over 22% of the passenger car sale in 2017. North America is a lucrative market for synthetic spider silk. The U.S. is the major growth engine in this market. The U.S. is the leading country in terms of military spending, with an estimated budget of over US$ 600 billion in 2017. Synthetic spider silk finds wide application in the manufacture of bulletproof vests, therefore with the huge spending on military, the demand for synthetic spider silk in bulletproof vests in the defense sector looks optimistic. Synthetic spider silk also finds fair application in the automotive industry and is used to manufacture airbags and seatbelts among others. According to Coherent Market Insights, U.S. has fair presence in the automotive industry, accounting for over 13% of the world’s passenger car production in 2016 and 6.1% of the world’s passenger car sales in 2017. 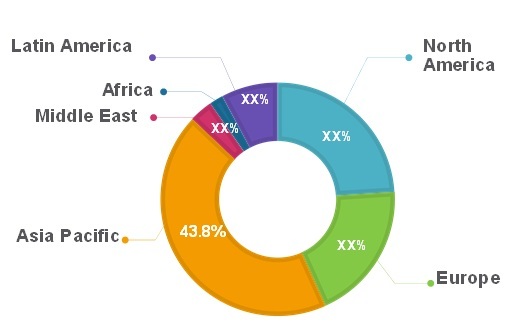 These factors are likely to support growth of the synthetic spider silk market in the region. The synthetic spider silk market has been classified on the basis of product into genetically modified yeast fermentation, genetically modified silkworm, and genetically modified E.Coli fermentation. Furthermore, the market has been classified based on application into automotive, textile, healthcare, defense, and others. Synthetic spider silk market is exhibit high growth potential, due to which several new players are venturing into this market for expansion opportunities. Some of the key players operating in the synthetic spider silk market include Kraig Biocraft Laboratories, Spiber Inc., AMSilk, and Bolt Threads, among others. Spider silk is a protein fiber that is spun from spiders. The silk is used to create webs or other structures such as nets to catch the prey or cocoons to protect the offspring or to wrap up its prey. Also, the silk is used for suspension or to float through the air and various others. Extracting the silk from spiders have proven to be a difficult task due to which a synthetic form of spider silk has been created that can be commercialized. It is one of the strongest biomaterials manufactured till date, which is flexible and stronger than the KEVLAR. An alternative to spider silk replicates the spider silk’s strength, energy-absorbing capacity, and elasticity. Moreover, synthetic spider silk contains more than 98% water. The laboratory-based spider silk is made from hydrogel, which consists of 98% water and 2% of cellulose and silica. Silica and cellulose are held together by molecules also called cucurbiturils. The cellulose fibers and silica can be pulled from the hydrogel. The water evaporates after 30 seconds and leaves behind only the strong and highly elastic thread. Increasing application of synthetic spider silk is one of the key factors aiding in the growth of this market. Furthermore, incomparable strength of synthetic spider silk over other synthetic fiber such as nylon such as high elasticity and tensile strength is another key factor pushing the growth of the market. Moreover, it has bio degradable and bio compatible properties as compared to other synthetic fibers, which is propelling its demand in application areas. Key companies covered as a part of this study include Kraig Biocraft Laboratories, Spiber Inc. Bolt Threads, AmSilk and various others. Kraig Biocraft Laobratories. “*” marked represents similar segmentation in other categories in the respective section. *Browse 90 market data tables and 40 figures on "Synthetic Spider Silk Market - Global forecast to 2025”.